The Howlin' Mudbugs are an acoustic Folk and Roots Rock group with New Orleans' Zydeco and Blues influences. The band was formed in 2005 by Kraig Greff and Chris Huntington, core members of the popular East Coast band, The Crawdaddies. 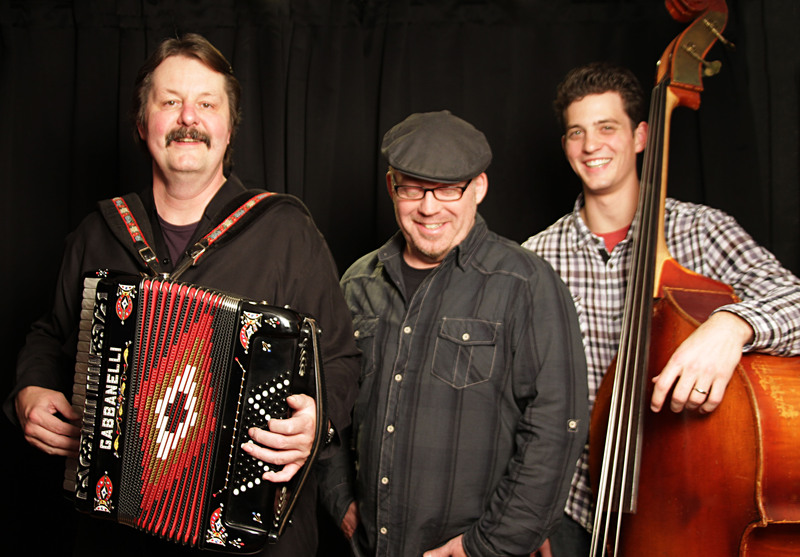 The Howlin' Mudbugs are Kraig Greff on accordion and vocals, Chris Huntington on vocals and guitar, and Dan Hones on acoustic bass and vocals. Each road-seasoned member hosts an impressive and diverse musical/performance resume: Greff has been a guest artist with the Baltimore Symphony, toured with Barry White and Diana Ross and is an award-winning composer. Huntington is a Grammy-nominated guitarist and award-winning songwriter. Hones is the eye candy. While sustaining a solid level of musicianship, the band continues to energize audiences with its up-beat songwriting and engaging live show, earning performances at numerous festivals, concert venues and corporate functions across the mid-Atlantic USA. The Howlin' Mudbugs sound can be heard on their debut CD released in late 2012. The honest recording was made “old school” using only two high quality condenser microphones in front of the group performing live in the studio. This CD is already receiving rave reviews from across the world. Fun, engaging and raw musicianship that's sometimes tongue-in-cheek and always entertaining!